Twin brother and sister Michael and Amy Schleicher’s story starts where a lot of kids’ stories do. They looked up to their big brother, Matt, and when he did something cool, Michael and Amy wanted to do it, too. In the case of the fateful summer that would point the twins in a long-term direction, that cool thing Matt did was volunteer at MDA Summer Camp. He’d been looking for something to do over the summer, and his mom, Susan Schleicher, who was working in a Danville, Calif., high school career center, saw some flyers advertising MDA Summer Camp volunteer opportunities. Matt came back from his week at Camp Arroyo, Michael says, glowing. Michael and Amy with a camper in 2011. Of course, like many inspired kid siblings, Michael and Amy were just a little too young to serve as camp counselors — so first, they became camp visitors. Amy, who was interested in film and directing, took her video camera to camp and, alongside Michael, Matt and their dad, Bill, made a documentary on their area camp. And they did. 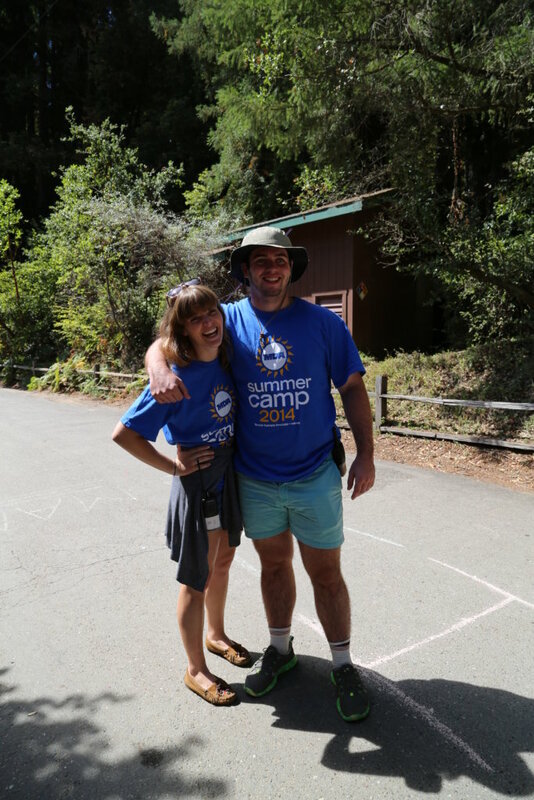 In time, Michael and Amy became camp counselors at MDA San Francisco’s Camp Harmon. A few years later, Bill, a lifelong tinkerer and gadget lover, took over deejaying the annual camp dance and managing sound for talent shows and other events. And Susan, years after she spotted that MDA camp volunteer flier, eventually became the camp’s arts and crafts leader. Together, the Schleichers weren’t just lifting up the MDA Summer Camp spirit. They were also strengthening their own bond. 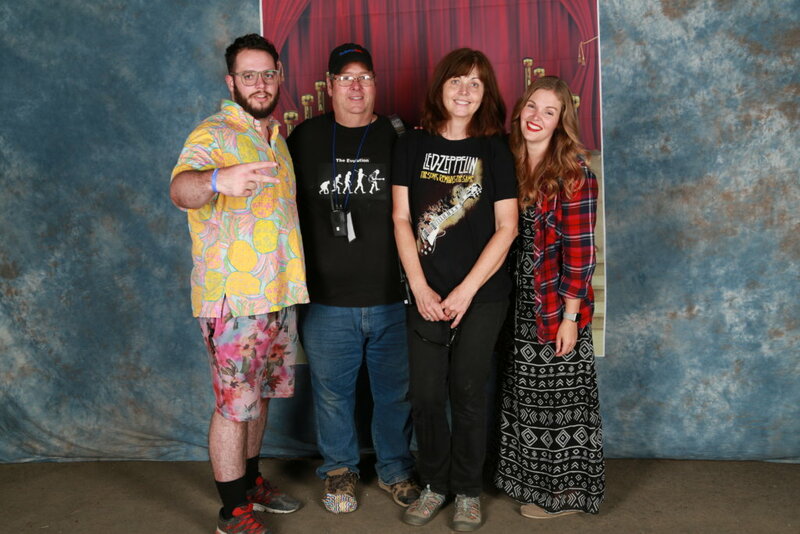 From left, Michael, Bill, Susan, and Amy Schleicher in 2017. MDA become a new kind of cornerstone. A specialist at the MDA Care Center where the twins’ grandfather received care realized the family connection, and so during his appointments, she told him stories she’d heard about Amy’s and Michael’s generosity at Summer Camp. In January of 2009, when Amy and Michael were 18, their grandfather was diagnosed with amyotrophic lateral sclerosis (ALS). After years of helping MDA families, the Schleichers became an MDA family. 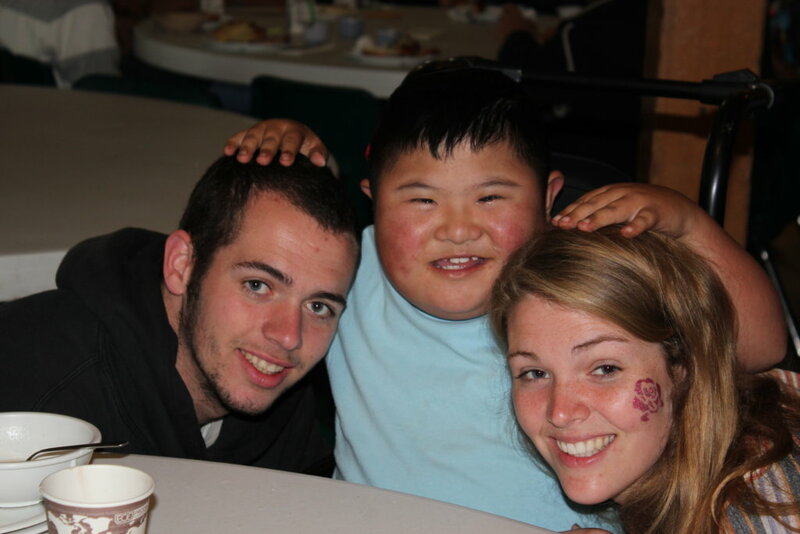 And after he passed, Amy and Michael say, volunteering at camp was even more meaningful. 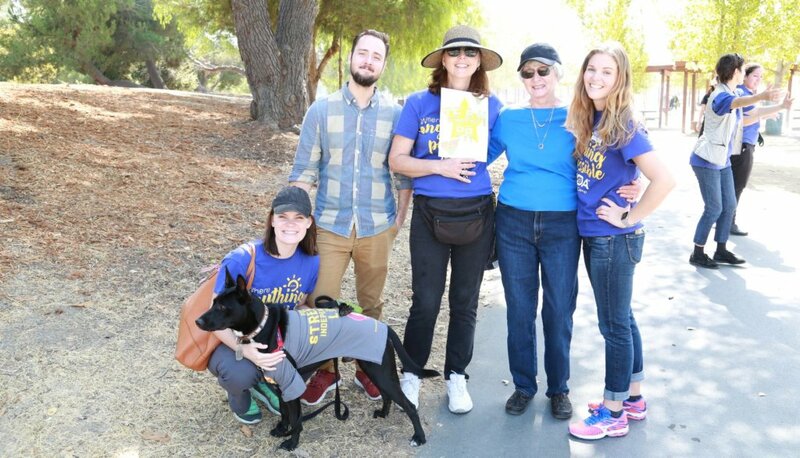 The Schleicher family became involved in Muscle Walk, too. Each year, Team Pa, so named for their grandfather, gathers in San Jose, Calif. Amy’s and Michael’s grandmother comes out. And, naturally, Bill is in the deejay booth, paying honor to all of the families there. After high school, Amy attended the University of California, Riverside, and graduated in 2013 with a degree in film studies. For three years afterward, she worked as a camera operator in the film industry. Michael headed to Las Positas College in Hayward, Calif., where he studied fire service technology and became an emergency medical technician. Later, he also studied criminal justice at Diablo Valley College in Pleasant Hill, Calif.; his combined interests in fire science and criminal justice led to a position as a case manager at a law firm, where he worked on environmental suits. Team Pa. From left, Allie, Michael’s girlfriend; Michael; Susan; Ann, the twins’ grandma; and Amy. But neither sibling felt truly fulfilled. “[My job] was fun and kind of crazy as well, but it wasn’t impacting life in the way I wanted to be doing with my work,” Amy says. Her first thought for a different career option: MDA. “I’d seen what they did at camp and I had some background about what happened at clinic, in part because of our grandpa and in part from hearing about other families’ experiences,” she says. She reached out to Colleen Vineer, Care & Clinical Services director for MDA’s San Francisco field office. Amy was living in Los Angeles at the time, but when she discovered there was an open position on Colleen’s team in San Francisco, she made the move. Not long after Amy accepted her position, Michael asked her if there might be an opportunity for him at MDA as well. And as luck (or fate) had it, there was an open fundraising position on the San Francisco development team. Amy and Michael at Summer Camp in 2017. 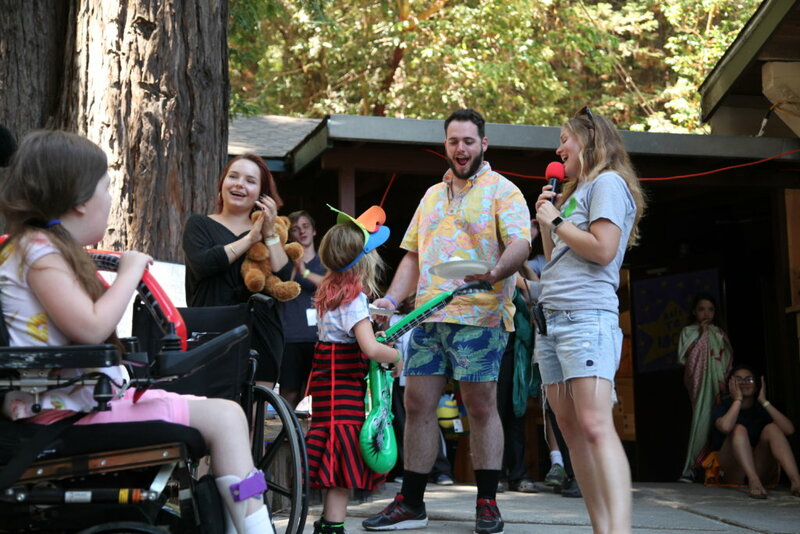 In her role as a care specialist, Amy is still deeply involved with MDA Summer Camp, recruiting campers and counselors as well as planning and executing new themes and activities each year. She also works with families in three MDA Care Centers, sharing the organization’s mission and creating conditions in which families can build relationships with their care teams. Michael, as a development coordinator, works specifically with the International Association of Fire Fighters, who partner with MDA in the iconic Fill the Boot fundraising program. Michael and Amy, says Colleen (who is now Amy’s manager), bring a unique perspective to MDA, its partners, and its families. The twins say MDA helped shape not only their lives but also who they are today. They’ve seen kids overcome bullying and fears. They’ve made lifelong friendships. They’ve learned not to take themselves so seriously all the time. Michael and Amy at Summer Camp in 2017. They’ve seen, thanks to that very first week, joy. MDA’s mission means so much for families, Michael says. And so much for his own. “On so many levels, there are so many things MDA does,” he says. “Camp is so important because it allows kids to be just like every other kid and experience things they never thought they could do. And on the research side, the breakthroughs in the past five years speak for themselves. If they give [people] more time with their families, for that family, it’s everything. If you told me I would get more time with my grandfather, that would mean the world to me. Join Amy, Michael, and their family on a volunteer journey with MDA today. Opportunities include volunteering at MDA Summer Camp, MDA’s signature events, in MDA’s communities as volunteer leaders and committee members, or in MDA’s offices. Start your journey today at www.mda.org/volunteer.